South Korea will push ahead with plans to hold 1.5-track talks between DPRK officials and experts as a means to resume now-stalled North Korea-U.S. negotiations “expeditiously,” the country’s foreign minister said on Monday. Speaking at a meeting of the National Security Council (NSC) called by South Korean President Moon Jae-in in response to the surprise results of last week’s DPRK-U.S. summit, foreign minister Kang Kyung-wha said Seoul should take the lead in getting nuclear talks back on track. 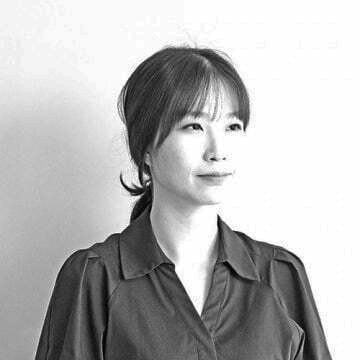 “We need to have a detailed understanding on how both North Korea and the U.S. assess the current situation, and come up with a substantive plan of arbitration,” South Korean presidential spokesperson Kim Eui-keum quoted Kang as having said during her report to President Moon. Kang also said the ROK Ministry of Foreign Affairs (MOFA) would “seek a variety of measures” to provide a platform for the resumption of DPRK-U.S. nuclear negotiations. “Among various measures, we will push ahead with the plan to hold 1.5-track discussions based on the experience of such meetings between South and North Korea and the U.S. in Sweden,” she continued — a likely reference to tripartite talks in January between DPRK vice-foreign minister Choe Son Hui and ROK and U.S. counterparts Lee Do-hoon and Stephen Biegun in Stockholm. The South Korean foreign minister also said Washington and Pyongyang should use the talks to focus on the core issues of sanctions relief in exchange for the dismantlement of the Yongbyon complex and additional measures toward denuclearization. The NSC meeting convened by Moon was held between 1400 and 1540, and was the first of its kind since a meeting in June last year — also held in the aftermath of a DPRK-U.S. summit. The talks also saw South Korean Minister of National Defense Jeong Kyong-doo share plans to hold inter-Korean military talks this month. 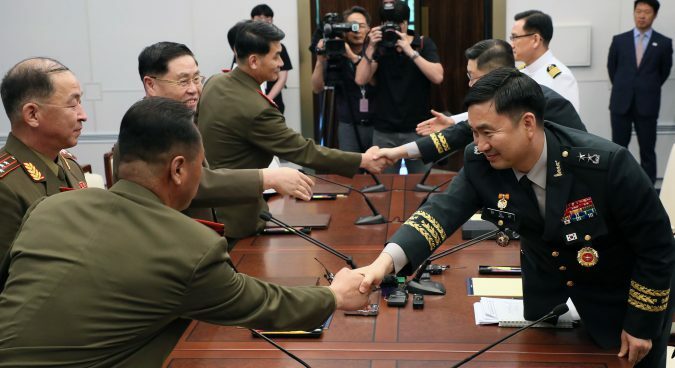 “In order to keep up the momentum of dialogue with the North, we will faithfully implement the military agreement of September 19,” Jeong was quoted as having said by a presidential spokesperson. 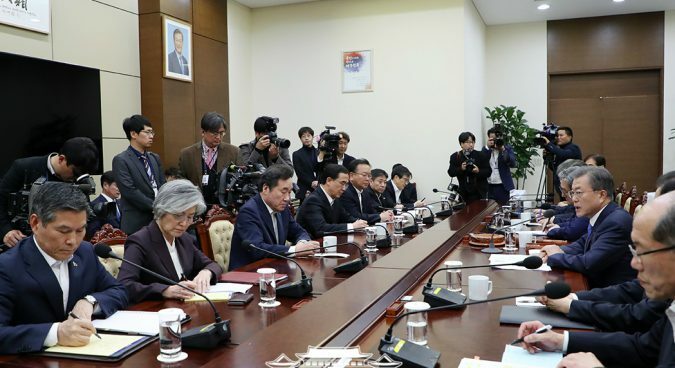 Minister of Unification Cho Myoung-gyon on Monday stressed his ministry would seek ways to promote projects agreed to in previous inter-Korean declarations “within the framework of sanctions,” according to spokesperson Kim. The Ministry of Unification (MOU) will also “prepare for the consultation with the U.S. after drawing up measures to resume” cooperation at the Kaesong Industrial Complex (KIC) and Mount Kumgang tourism. Announcing his initiative for the “new Korean peninsula regime” on Friday, President Moon also said he planned to hold talks with the U.S. on ways to resume those two economic inter-Korean projects. “It was difficult to get here, but it only takes a moment to collapse,” Moon told key aides, including presidential Chief of Staff Noh Young-min and director of National Intelligence Service (NIS) Suh Hoon. Subscribe to read the remaining 689 words of this article.